It's time to meet our next Shark Ambassador. As Shark Stanley makes his way around the world, he gains the support of scientists, conservationists, athletes, celebrities, entrepreneurs, and politicians. We are honoring the best minds in shark conservation as Shark Ambassadors and will highlight them in a series of upcoming blogs. We'll ask each Ambassador five questions to learn about their work, their opinion on how we will save sharks, and advice to young people who want to follow in their footsteps. Charlotte Vick is a specialist in coastal management, government, maritime policy, technology and planning who works at community, state, national and international levels. In 2008, she joined the Sylvia Earle Alliance, Google and a team of scientists and hundreds of partners to develop a new platform for ocean education. Using curated imagery, scientific information and data on Google Earth, the team pioneered new ways of visualization that now routinely access and display the critical planetary ocean and atmospheric systems enabling leaders and citizens to know more about even the most remote places such as the Marianas Trench. We ask the same five questions of all of our Shark Ambassadors. Here's what Charlotte had to say. Why are sharks important to you? Sharks are an ancient species that has served ocean ecosystems for millions of years. Healthy ecosystems need healthy populations of sharks. And, they are beautiful creatures who are seriously misunderstood by humans. How are we going to save the world's sharks? We save the world's sharks by allowing them to not only survive, but thrive. How are you working to protect sharks? 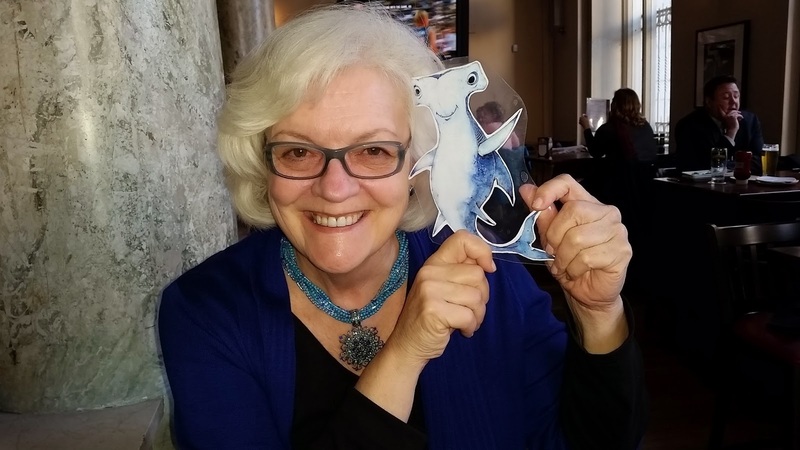 In addition to supporting legislation to protect sharks in state and national waters around the US, I work with shark advocates to create video and photo based stories that educate people of all ages in multiple languages as part of the team of the Sylvia Earle Alliance and Mission Blue. Lots of people look up to you, who are your conservation heroes? I am very proud to work with Dr. Sylvia Earle, oceanographer and marine biologist who is one of the world's great ocean advocates. I also admire Professor Callum Roberts a conservation biologist from the UK, Dr. Carl Safina, a superb writer and ecologist, Dr. Edith Widder, explorer and marine scientist, and film director Louie Psihoyos. What advice would you give to young conservationists? Young conservationists should get into the field as often as they can, read books written by those above and others, see conservation and natural history films and volunteer in their home community. A good grounding in sciences from school will serve them well throughout their lives.